Do you want to test a new product before it’s on the market? Do you need feedback on a new business process from your customers or employees? Focus groups are a great way to gather data first-hand from your target audiences. This method of collecting data allows you to learn customer opinions about a new business idea, test new products, and discover how people feel about your business and its practices. Read below for the top benefits of using focus groups to gather qualitative data for your business. 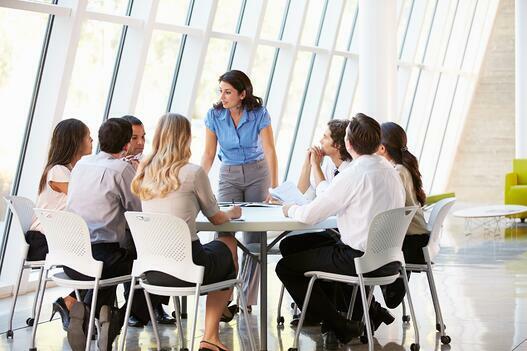 Focus groups provide a platform to gather detailed information to help you make informed business decisions. Through this in-depth method of data collection, you will learn detailed thoughts, opinions, sentiments, and feelings from current customers or your target market. The group setting allows businesses to achieve consensus of an idea, product, visual, service, or other consideration. Rather than simply “yes” or “no,” you will understand whether the group puts forth a strong yes, strong no, or a split decision. A guided discussion among targeted respondents will ensure a deep understanding of participants’ mindset and reactions. This tactic will help you understand whether the targeted audience will ultimately buy your product or service. When researching a new product, service, or idea, businesses will often conduct quantitative studies. Focus groups are an effective way to confirm and validate your quantitative data findings. Through quantitative research, you might discover that your target audience, or a particular subset of your customer base, does not like a new product feature you’re planning to roll out. Focus groups will help you understand why they do not like this feature and what in particular it is about the feature that they do not like. With this information, you can learn that a small tweak to your product design or idea will provide it with wider appeal, rather than going back to the drawing board and starting over. When you understand the “why” behind your quantitative data, you can make more informed decisions about how to proceed. Focus group discussions often bring to light ideas that your business had not previously thought of. Typically, a hypothesis is formulated prior to the group beginning. Based on the group dynamic of focus groups they often move in unexpected directions. When you’re gathering data from real people via discussion, you get their authentic reactions. Often times, these reactions can drastically deviate from what you initially expected. These variations can open up new product and service ideas that your business has not previously considered. The authenticity of the discussions that focus groups foster can be extremely beneficial to the discovery of new ideas that your business has not explored. Because focus groups are discussion-based and take place in real time, moderators can immediately follow up to respondents’ feedback. A moderator will guide the discussion based on pre-determined questions, themes, and topics and ensure all participants have the opportunity to give their opinion. The moderator asks clarification questions to help make sense of participants’ responses and allow them to go more in-depth about a particular topic. This opportunity for follow up is very beneficial to help you learn not only their reaction, but also the reason behind their reaction. Focus groups allow you the opportunity to completely understand how your target audience thinks in order to offer them products and services that they will ultimately buy. One advantage of focus groups is that the moderator and observers have the ability to see their target audience in-person, first hand. Not only can you hear participants’ verbal responses, but you can observe their body language. Body language is a key component to understanding initial reactions and real opinions to products, services, visuals, and ideas. Observing body language will help you understand the reaction your customers or target markets will have when interacting with what you have to sell, allowing you to make alterations that will ensure success. Even in the age of the ever-increasing digital landscape, there is still a human interaction component to any transaction. For this reason, real-life thoughts, opinions, and expressions still matter. Focus groups provide the opportunity to listen first hand to your target audience’s discussions and feedback, allowing you to develop strategies around their group consensuses. Through this human interaction component, your business can achieve success by providing your audience with exactly what they tell you they want.